ROME, Aug 11 2017 (IPS) - A total of 300 migrants have reportedly been forced from boats over the past two days by smugglers off the coast of Yemen – many feared dead or missing, the United Nations migration agency has reported. “The survivors told our colleagues on the beach that the smuggler pushed them into the sea when he saw some ‘authority types’ near the coast,” said Laurent de Boeck, the Yemen Chief of Mission of the International Organization for Migration (IOM). “They also told us that the smuggler has already returned to Somalia to continue his business and pick up more migrants to bring to Yemen on the same route. This is shocking and inhumane. The suffering of migrants on this migration route is enormous. Too many young people pay smugglers with the false hope of a better future,” de Boeck added. “There is something fundamentally wrong with this world if countless numbers of children can be deliberately and ruthlessly drowned in the ocean, when they are no longer an easy source of income, and nothing is done to stop it from ever happening again.” – IOM chief. According to IOM, up to 180 migrants were reportedly thrown into the sea from a boat today by the smugglers. Five bodies have been recovered so far, and around 50 are reported missing. This latest incident comes barely 24 hours after smugglers forced more than 120 Somali and Ethiopian migrants into the sea as they approached the coast of Shabwa, a Yemeni Governorate along the Arabian Sea, resulting in the drowning of around 50 migrants, said IOM. The migrants had been hoping to reach countries in the Gulf via war-torn Yemen. Shortly after 11 August’s tragedy, IOM staff found the shallow graves of 29 migrants on a beach in Shabwa, during a routine patrol. The dead had been quickly buried by those who survived the smuggler’s deadly actions. The approximate average age of the passengers on the boat was 16. “The UN Secretary-General is heart-broken by this continuing tragedy,” his Spokesman Stéphane Dujarric told reporters at the daily briefing in New York. “This is why he continues to stress that the international community must give priority to preventing and resolving a variety of situations which both generate mass movement and expose those already on the move to significant danger,” he added, underscoring the need to increase legal pathways for regular migration and offer credible alternatives to these dangerous crossings for people in need of international protection. Since January of this year, IOM estimates that around 55,000 migrants left the Horn of Africa to come to Yemen, most with the aim of trying to find better opportunities in the Gulf countries. More than 30,000 of those migrants are under the age of 18 from Somalia and Ethiopia, while a third are estimated to be female, according to the UN specialised body. IOM and its partners operate across the region to support these migrants and provide lifesaving assistance to those who find themselves abused or stranded along the route. Meantime, IOM reported that 160 Ethiopian migrants were violently forced into the sea off Yemen’s coast on 8 August morning. This comes one day after the presumed death of 50 Ethiopian and Somali migrants during a similar incident, it adds. 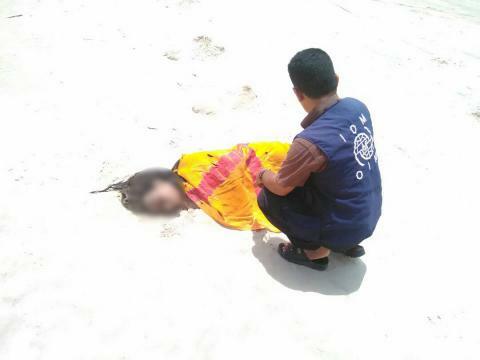 Staff from the UN migration agency found six bodies on the beach –two male and four female. An additional 13 Ethiopian migrants are still missing (unaccounted for). IOM on 10 August provided emergency medical assistance to 57 migrants. The UN agency also provided food, water and other emergency relief assistance to the surviving migrants. 84 migrants (in addition to the 57) left the beach. The UN migration agency has also reported that every year, thousands of migrants risk their lives on this life-threatening route towards the Gulf countries through Yemen, a country in crisis. This is why IOM has embedded psychologists embedded in their patrolling teams on Yemen’s beaches. “The deadly actions of the smugglers on 10 August bring the total number of presumed dead over the last two day close to 70. IOM is aware of 114 dead or missing in 2017 off the coast of Yemen (Gulf of Aden and in the Red Sea en route to Yemen) and 109 in 2016. The actual total is likely to be higher. Migrant survivors from other smuggling journeys have told IOM that usually smuggler networks coordinate when migrants arrive in Yemen so that they would have a pick up location. “Some migrants who are able to pay extra money are taken by car to unknown destinations. Others, who do not have money, walk for long distances, without knowing where they are headed. Recently, smugglers have been pushing migrants out of the boats, fearing that the security forces might arrest them. This is what happened the past two days in Shabowa, said Lina Koussa, IOM’s Emergency Response Officer in Aden. It’s World Day Against Trafficking in Persons. What Do We Need to Do Now? “We condemn the acts of smugglers off the coast of Yemen – 120 Somali and Ethiopian migrants were forced from a boat yesterday, and another 160 today, the death toll is still unknown,” said William Lacy Swing, IOM Director General. “The utter disregard for human life by these smugglers, and all human smugglers worldwide, is nothing less than immoral. What is a teenager’s life worth? On this route to the Gulf countries, it can be as little as 100 USD, “ said IOM chief. It should never have happened in the first place, he added. This is a busy and extremely dangerous smuggling route. Yemen is suffering one of today’s most dire humanitarian crises, said William Lacy Swing. Countries experiencing conflict or crisis like Yemen need greater support to reinforce law enforcement and humanitarian border management with the aim of protecting vulnerable migrants like these 16-year-old kids, he said. “My thoughts are with their families and loved ones in Ethiopia and Somalia. I am making a promise to them that IOM will not forget them and will continue to fight to protect the rights and dignity of future generations of migrants,” concluded Swing. 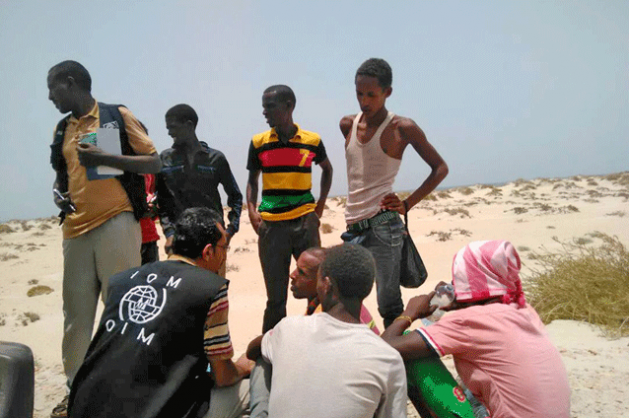 IOM on 9 August reported from Aden that early that morning, a human smuggler, in charge of the boat, forced more than 120 Somali and Ethiopian migrants into the pitching sea as they approached the coast of Shabwa, a Yemeni Governorate along the Arabian Sea. The migrants had been hoping to reach countries in the Gulf via war-torn Yemen. Shortly after the tragedy, staff from IOM, the UN Migration Agency, found the shallow graves of 29 migrants on a beach in Shabwa, during a routine patrol. The dead had been quickly buried by those who survived the smuggler’s deadly actions. IOM is working closely with the International Committee of the Red Cross to ensure appropriate care for the deceased migrants’ remains.